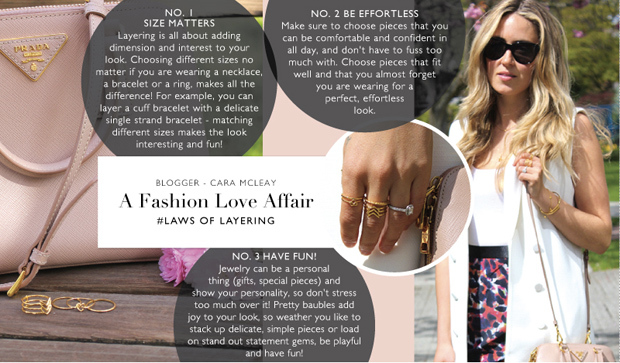 Cara Jourdan | Laws of Layering. Layering jewelry has always been something I've loved to do…stacking rings or layering up bracelets or necklaces adds the perfect effortless yet put together touch to any look - and of course collecting beautiful jewels to do it with is super fun, too! The team at Gorjana have been talking Laws of Layering, and asked me to share about how I like to layer on my jewelry - You can check out my tips and shop my favourite pieces here!